The holidays are a great excuse to get creative with gifts that will delight your friends and family. A little imagination and the right frame are all you need to turn ordinary objects into great gifts. Here are a few ideas. As a photographer, you probably take plenty of candid snaps at your family gatherings. The right frame can elevate that photo of a rousing game of Twister or a child tearing into her presents with great anticipation, and turn it into a fond memory. Try pairing a Radius Colorcast frame and its splash of color with a black and white print. We can even print and frame your photo or artwork and send it to the recipient. Is there a holiday decoration from your childhood that means Christmas to you and your siblings? 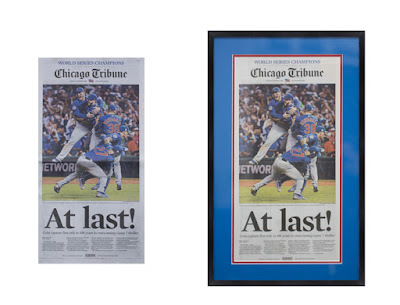 Turn it into art with one of our frames. Preserve the cardboard Santa you made in Kindergarten so your mom can display it on her wall. And your sister may have long ago forgotten about the now-frayed stocking she received as a baby, but in the right frame, it’ll take on a whole new life and add a nostalgic touch to her holiday décor each year. Pair it with an elegant Neo Florentine Nielsen 97. Does Dad love Nat King Cole’s version of “The Christmas Song”? Then the framed album cover would make a great gift. Does a family member have a favorite Christmas carol? Showcase the sheet music in a beautiful frame. The wide-edged Standard Plus One will help it stand out. 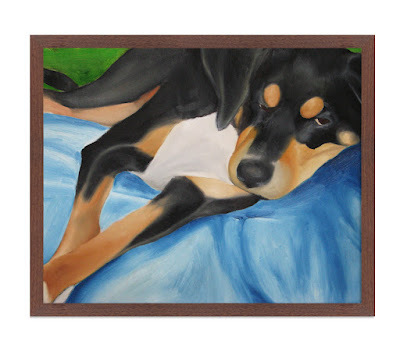 Your painting, drawing or photography makes a heartfelt gift when joined with a thoughtful frame choice. Look through our wide assortment of metal and solid wood frames, or if you need help choosing a frame, stop in or contact us. Looking for a gift for the artist in your life? 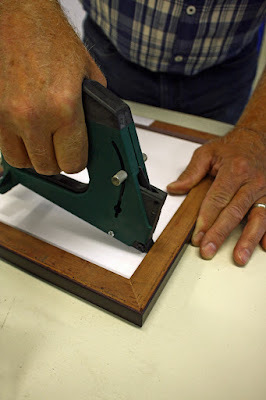 Give them tools to make their DIY framing easier. Our Essentials Framing Kit is a great place to start. A Point Driver is a must-have for anyone who frames often. And our DIY Framing Fundamentals book will answer any questions they have about the process. You may not know someone’s taste enough to select a frame for them. An American Frame gift card gives her the freedom to choose the frames that fit her personality, art and décor. For more ideas, browse our past gift idea blogs. Just loved you post very much. Picture framing is no doubt a great art and I am glad that you shared this post with us. Stay blessed.